Kanchenjunga Circuit Trek (KCT) is one of the most famous treks in Nepal. 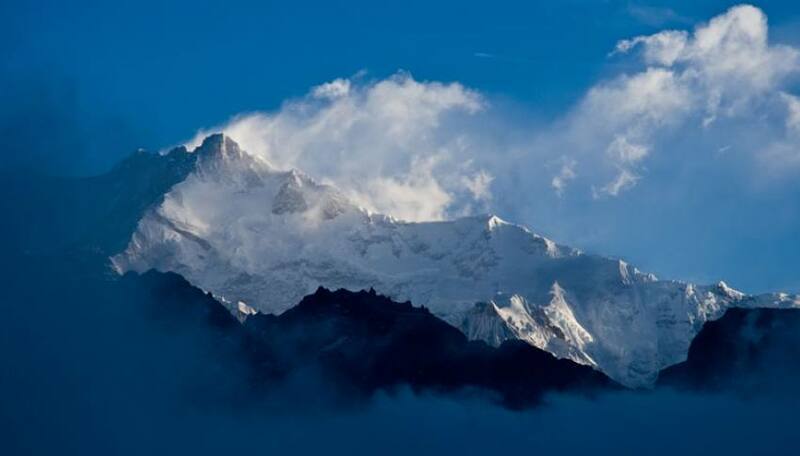 The word Kanchenjunga comes from Tibetan word referring to “Five great treasures in the snow.” This symbolizes its five peaks as gold, silver, precious stones, grain and Holy Scriptures. Mt. Kanchenjunga (8585m) is the world’s third highest peak making this trek route even more intriguing. Kanchenjunga is towards the far-eastern part of Nepal protected under the Kanchenjunga Conservation Area Project (2035 km2). The conservation area hosts several species such as impedance pheasant, shy dragon, snow leopard, black bear, red panda, etc. If you are someone seeking peace in nature, this route will be perfect for you. Popular for its remoteness, the trek was once a forbidden region and only opened for trekkers in 1988. So there are lesser trekkers hiking in Kanchenjunga area and plenty of wildlife and natural heritages. This route encompasses Himalayan coniferous forests, alpine shrub, meadows and grasslands. It's a restricted trekking area, so you need a local guide and at least 2 trekkers to obtain necessary permits to trek through Kanchenjunga. KCT is tea-house trek but not crowded and still remote where you can experience traditional Nepali cultures and life-style from Rai and Limbus to Tibetan Buddhist villages and foods. This is a long and challenging walk around Mt. Kanchenjunga visiting both North and South Base Camp. It is a long trek going deep into the remote mountain ranges on Nepal’s border with Sikkim and Tibet. The route starts by approaching the north side of Kanchenjunga where you see views of Tent peak, Nepal peak, Cross peak and then at Base Camp Kanchenjunga itself becomes visible. After Pangpema the trek returns to Ghunsa and then crosses the Mirgin La pass over to the south side of Kanchenjunga. Once over this pass we visit the yak pastures of Ramche and Oktang where there are impressive views of the south west face of Kanchenjunga. Our itinerary visits the North and South Base Camps of Kanchenjunga as well as crossing a high pass called Mirgin La. This trek has been described by some as one of the finest trails in Nepal. The mountain views are truly sensational, you will see Wedge Peak (6,750m), Mera (6,344m), Nepal Peak (6,910m), the Twins (7,351m), Jannu (7,710m ) Koktang (6,147m), Rathong (6,679m) and the Kabrus (all over 7,000m) and of course the five peaks of Kanchenjunga all over 8,000m. It would appeal to anyone who is looking for a challenging trek in a remote region of Nepal visited by fewer other trekkers. This is a culturally interesting journey with a day exploring Kathmandu and then while on trek you will see Rais, Limbus, Sherpas and Tibetans. Day 1Kathmandu Arrival It’s arrival day today and you will be picked up by our representative from the airport and transferred to your hotel. Tonight we will have a tour briefing and make final preparations for our trek. Day 2Explore Kathmandu ValleyWe have a day of sightseeing in Kathmandu today visiting some of the UNESCO World Heritage Sites here. We will start the day with a visit to PashupatinathTemple which is one of the most sacred Hindu sites and the location of the cremation ghats. From here we visit BoudhanathStupa which is a large Buddhist Stupa and an important pilgrimage place for Buddhists. We then visit Patan Durbar Square and the surrounding area, famous for it’s temple square, golden temple and metalwork that are crafted here. We finish the day at SwayambhunathStupa (the Monkey Temple) located on a hill overlooking the Kathmandu Valley it features a pretty Buddhist Stupa and Hindu Temple with incredible views over the city of Kathmandu. On completion of our sightseeing we will have a trip briefing to prepare for our trekking and you will have time for some last minute shopping for supplies. Overnight in Kathmandu. Included Meals - breakfast. Day 3Fly to Suketar (2420m) & trek to Simbu (1845m) 1hr flight & 5hrs TrekWe take an early morning flight to Suketar which is located in the eastern region of Nepal. It is a simultaneous ascent and descent on a trail that mostly passes through lush green forests all the way to Simbu. Today and for the next couple of days the path is often wet, muddy and slippery so two trekking poles are definitely required. Overnight at Simbu. Included meals – breakfast, lunch, dinner. Day 4Trek to Phumphe Danda (1858m), 8hrs This morning we leave early and start the easy trek by making ascent. Then steep climb until Yangpang from where we climb steadily up until Phumphe Danda. Overnight at Phumphe Danda. Included meals – breakfast, lunch, dinner. Day 5Trek to Yamphudin (2080m), 8hrs We begin our trek towards the Khaksewa Khola then walk on a trail that passes through forests before crossing a small Pauwa Village to Mamankhe. On the way, we enjoy amazing views of the Himalayan peaks while also passing through several beautiful small villages. We will be mostly uphill on an easy trail whereby we mostly walk alongside the Kabeli Khola. During the walk we also admire the beautiful ridge behind the stream. We continue our walk and admire a beautiful waterfall nearby. After walking for some time, we cross a small suspension bridge. We pass through small settlements before reaching Yamphudin to spend the night. Overnight at Yamphudin. Included meals – breakfast, lunch, dinner. Day 6Trek to Tortong (3995m), 8 hrs We begin our walk on a path commonly used by the villagers and pass through terraced farms and green meadows. Along the way, we have the constant company of the Himalayas to enjoy. Our walk will be on a trail along the Amji Khola. We also cross a pass at Lassiya Bhanjyang before reaching Tortong. Overnight at Tortong. Included meals – breakfast, lunch, dinner. Day 7Trek to Cheram (3870m), 5 hrs We begin our steady climb to Cheram after breakfast. Our trail is right at the side of the Simbuwa Khola. We enjoy walking on the beautiful Lalung valley and have Tuplung peak for company for the most part of today’s journey. We pass through thick rhododendron forest and enjoy the magnificence of the Yalung Glacier. Overnight at Cheram. Included meals – breakfast, lunch, dinner. Day 8Acclimatization day at Cheram We spend a day in and around Cheram which will help us for acclimatizing purposes by following the rule “climbing high and sleeping low.” This will help our body adjust to the gain in altitude and help us adapt over the next two days as we travel up to the Yalung Base Camp (4500m). We can spend the rest of the day resting and taking part in small hikes. We can explore the areas around the Yalung Glacier. There is also a viewpoint for Kabaru and Rathong peaks. Overnight at Cheram. Included meals – breakfast, lunch, dinner. Day 9Trek to Ramchaur (Ramche) (4580m), 4 hrs We begin our short trek after breakfast. From Cheram, we ascend for sometime before reaching the snout of the Yalung Glacier. It is a beautiful walk on a valley trail. We also cherish the views of several Himalayan peaks. We pass through a small settlement of Lapsang before reaching Ramche. Overnight at Ramche. Included meals – breakfast, lunch, dinner. Day 10Trek to Yalung Base Camp (4500m) & back to Cheram, 7 hrs From Ramche, we walk further up the valley. We then follow a stream before climbing on the moraine top until confronted by Kanchenjunga’s southern face. We walk further ahead for a glimpse of the Jannu Himal. We continue our trek further towards the Oktang Monastery. From here, we climb further up and reach the Yalung Base Camp. The views from the base camp are extraordinary. Kumbakarna (Jannu), Nyukla Lachung and other Himalayan peaks are close by. We descend and spend the night at Cheram. Included meals – breakfast, lunch, dinner. Day 11Trek to Sele La (4290m), 6 hrs We begin our trek after breakfast. We cross four passes today beginning with Sinelapche Bhanjyang. After crossing the pass we continue to Mirgin La pass. We continue trekking and reach the Sinion La pass which is not very far. From here, we ascend to Sele La pass. There are prayer flags strung across one of the steeper sections of the trail which is very near to the Sele La pass. We cross the pass. Overnight at Sele La. Included meals – breakfast, lunch, dinner. Day 12Trek to Ghunsa (3427m), 4 hrs We begin our trek after breakfast. We walk towards the north with Tangbgharma Danda nearby. We reach a chorten marked by prayer flags which marks the start of a steep trail. We descend through rhododendron, birch and pine forests before reaching Ghunsa. It is a beautiful village of houses with dark and weathered pine walls and Buddhist prayer flags. Overnight in Ghunsa Included meals – breakfast, lunch, dinner. Day 13Trek to Kambachen (4050m), 7 hrs From Ghunsa, we trek further north along the river bank which presents us with magnificent mountain scenery. We pass through meadows filled with beautiful wildflowers, then cross rhododendron and pine forests. We cross a bridge at Rampuk Kharka, continue past a waterfall and cross the tricky section of a landslide. After crossing the landslide area we begin to see the spectacular view of Mt. Jannu. Further exploring and tackling the tricky mountain trail we finally arrive at Kambachen and spend the night. Included meals – breakfast, lunch, dinner. Day 14Trek to Lhonak (4780m), 7 hrs Today will be another challenging day and an early start is needed. We trek through rocky fields and large boulders on the hillside along the riverbank and arrive at a waterfall. We then cross a bridge to Ramtang monastery. We then come across a landslide section which we must pass through at a steady pace before descending to the river and finally arriving at Lhonak. Overnight at Lhonak. Included meals – breakfast, lunch, dinner. Day 15Day trek to Pangpema (Kanchenjunga North Base Camp-5143m), return to Lhonak- 7 hrs From Lhonak the trail ascends along the lateral moraine from Kanchenjunga Glacier for about two hours. After passing through several sections of loose rock and landslide area the trail climbs less steeply to reach the stone huts in a grassy area at Pangpema in a further two hours. The view of the vast north face of Kanchenjunga from Pangpema is very impressive. After having lunch while enjoying the mountain vista we start the return walk back to Lhonak taking about 3 hours. Overnight at Lhonak. Included meals – breakfast, lunch, dinner. Day 16Back to Ghunsa, 7 hrs Walk back along the same trail through Kambachen to Ghunsa village. Overnight at Tseram. Included meals – breakfast, lunch, dinner. Day 17Trek to Amjilosa (2395m), 7 hrs From Ghunsa, we descend towards Phale. We pass through several Manes and a monastery nearby. We walk through Juniper forests and reach Phale. From here, it is a steady descent to Gyabla. We cross a bridge over Chhundatangka Khola to reach Gyabla. As we continue our trek, we see a waterfall nearby. We also cross a suspension bridge over Sumbung Khola before reaching Amjilosa. Overnight at Amjilosa. Included meals – breakfast, lunch, dinner. Day 18Trek to Chirwa (1270m), 7 hrs After walking for a while we see a beautiful waterfall nearby. We continue our trek and pass a small settlement of Solima before crossing a suspension bridge over Ghunsa Khola. We cross another suspension bridge over Ghunsa Khola and reach Sukathum. Our trail passes through several villages and is beside Thunsa Khola at first followed by Tamor River before reaching Chirwa. Overnight in Chirwa. Included meals – breakfast, lunch, dinner. Day 19Trek to Phurumbu, 6 hrs We notice that the settlement starts to get thicker as we are descending. Our trail is alongside lush vegetation. We pass through several villages before reaching Sinwa. From here we continue our descent and cross a bridge over the Sisne Khola. Now we are in the Pathibhara Trek trail. We pass through another village and cross another suspension bridge this time over the Yaphre Khola to reach Phurumbu. Included meals – breakfast, lunch, dinner. Day 20Trek to Suketar (2420m), 5 hrs We start our final day short trek after breakfast. We continue our walk on the Pathibhara Trek trail with much needed break to Suketar. We have now completed an amazing journey around the Nepalese side of Kanchenjunga! Overnight in Suketar. Included meals – breakfast, lunch, dinner. Day 21Fly Back to Kathmandu After breakfast we travel fly to Kathmandu by private vehicle. Sit back and enjoy the views of the countryside and villages along the way. Tonight we will have a farewell dinner and cultural show to enjoy. Day 22Departure day You are free to depart at any time. Transfer to the airport will be arranged for you.